Fibromyalgia, which is also known as fibromyositis, is a chronic disorder characterized by widespread musculoskeletal pain, fatigue, and tenderness in localized areas. How Do Long Term Disability Insurance Companies View Fibromyalgia? Traditionally, when an LTD claims examiner received a case in which the only disability alleged in the claim was fibromyalgia, the outlook for an initial approval was poor. Disability insurance examiners generally gave little weight to a claim of fibromyalgia unless another severe medical condition was involved, such as arthritis or degenerative disc disease. For example, if a claimant made a disability claim and the chief impairments were fibromyalgia and rheumatoid arthritis, or fibromyalgia and degenerative disc disease, the fibromyalgia allegation automatically carried more weight when seen in combination with another impairment as opposed to fibromyalgia being evaluated on its own. This may be because fibromyalgia is seen as a logical and plausible extension to what are generally considered as “more proven” impairments. As a result, unless a fibromyalgia diagnosis was made in conjunction with another medical diagnosis, especially one of a musculoskeletal nature, a disability claimant with fibromyalgia had little chance of being approved for LTD benefits. Why was this? Part of it has to do with the nature of fibromyalgia itself. Fibromyalgia is an impairment that is diagnosed primarily based on subjective claimants; moreover, the causes of fibromyalgia are not fully understood in the medical community. Although it is a legitimate disability in and of itself, its symptoms and speculated causes vary from one person to the next. Because even the medical profession is still trying to figure out what causes fibromyalgia, disability examiners are sometimes unsure of how to evaluate such claims. When a primary care physician assesses a patient a fibromyalgia diagnosis without a corroborative diagnosis by a specialist, a disability examiner may interpret that to mean that the doctor gave the patient a label for lack of a better way to diagnose a patient’s pain. Unfortunately, this was in fact often the way family doctors prescribed fibromyalgia in the past. Many times when primary care doctors were unable to find underlying reasons for the pain their patients felt, they diagnosed “fibromyalgia” as the cause. Over the past 10-15 years, disability examiners have seen this routinely occur in the records they review. Fortunately, this is happening less and less in the present as doctors are becoming more familiar with fibromyalgia. But still, as a result, a fibromyalgia diagnosis issued by an orthopedist or rheumatologist will still be more credible to a disability examiner and will strengthen a Long Term Disability claim, in contrast to situations where the fibromyalgia diagnosis has been made by an internist or family care doctor. 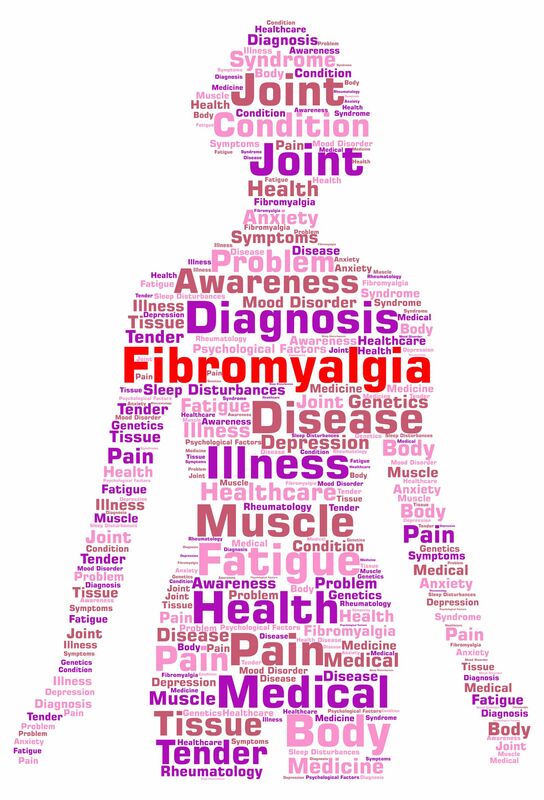 Proving you have fibromyalgia can be difficult because evidence of the disorder is based on subjective reports of pain, fatigue, and “fibro fog.” Disability insurance claims handlers want to see medical signs of an impairment that could reasonably be expected to produce your symptoms. Repeated manifestations of six or more fibromyalgia symptoms, signs, or conditions that often occur with FM, particularly fatigue, non-restorative sleep, cognitive or memory problems (“fibro fog”), depression, anxiety, or irritable bowel syndrome (IBS). Other possible symptoms include headache, muscle weakness, abdominal pain, Raynaud’s phenomenon, seizures, and dizziness. What allows a claims handler to consider subjective complaints to be taken as “medical signs” in the case of fibromyalgia? When a symptom is an abnormality that can be documented by clinical diagnostic techniques that have been accepted by the medical profession, such as found in the definition established by the ACR, the claims handler may view this as sufficient evidence. The claims examiner assigned to your claim will review your medical records to see if they include evidence of the above criteria. The examiner will read your doctor’s notes on your complaints of pain, fatigue, and possible cognitive difficulties. To assess the credibility of your complaints, the claims examiner may ask your doctor to provide information about the extent and duration of your condition, his or her opinion of how well you are able to function with your condition, what treatments were tried, whether the treatments were helpful, whether the treatments and/or medications had negative side effects, and how long the doctor expects your ability to function to be limited. The longer your medical record includes evidence of fibromyalgia symptoms and treatment, the better. Moreover, if your various doctors agree that you have fibromyalgia, this makes your case stronger. In addition to using your treating doctor’s medical records, the LTD insurance adjuster may request records from psychologists and physical therapists you have seen. The adjuster may also send you for an “independent medical examination”. At the exam, you will be seen by a doctor who is paid by the insurance company and who will report on whether he or she thinks you have fibromyalgia, its severity, its duration, and the ways it functionally limits you. The insurance company adjuster may develop a residual functional capacity (RFC) assessment for you to determine if there is any work you can do given your condition. An RFC assessment is an evaluation of your ability to perform work activity. For example, if you cannot lift more than 10 pounds, then that would eliminate all jobs that require you to lift and carry more than 10 pounds. Let’s say your RFC also says you need to take frequent rest breaks. This would further limit the types of jobs you can do. Similarly, if you cannot use your hands for fine motor movements, this would further limit the types of jobs you can do. Your RFC will be based on your medical records, opinions from doctors and specialists, and statements from you. In assessing your RFC, the insurance adjuster will rely on your doctor’s opinion as to your abilities, like how long you can stand, sit, and walk, how much you can lift, and how well you can focus and remember instructions. These functional limitations are the key to showing the insurance company why you cannot work. After creating your RFC, the insurance adjuster will compare it to the types of jobs available for someone with your RFC level and limitations. If your RFC rules out all jobs, even sedentary work, you would be found disabled. What else can someone with this condition do to help tip the scales in their favor when applying for long term disability benefits? One of the most important things you should consider is hiring a disability representative. More so than in other types of cases, hiring a lawyer to appeal a denial or termination of benefits for fibromyalgia can really help your case, since an experienced disability lawyer will be familiar with the latest court decisions on when disability should be granted for fibromyalgia. This knowledge helps disability attorneys find errors made by the claims examiner in the disability determination and use them to your advantage. Mr. Ortiz is an experienced long term disability attorney for fibromyalgia claims. You can contact the Ortiz Law Firm at 850-308-7833 for a free consultation today.